1873 Hyde and Co were founded, making washers and small pressed work. 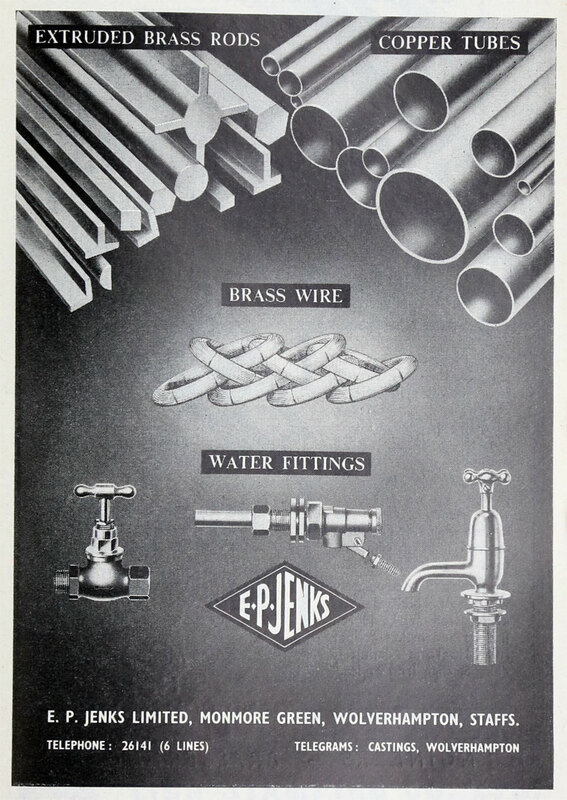 1935 Name changed to E. P. Jenks Ltd.
Specialised initially in water fittings made from hot brass stampings. Then expanded into supplying brass extrusions and brass wire to others. 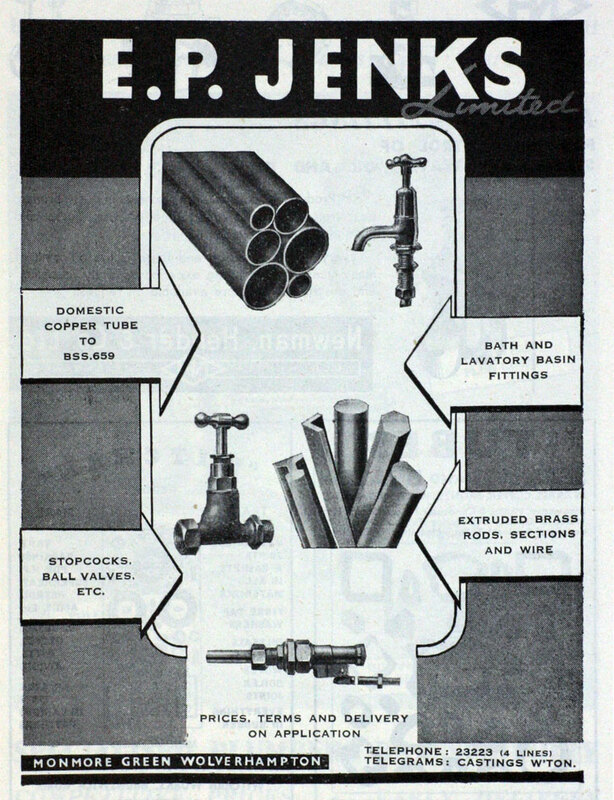 1950 Established a copper tubes and copper billets plant and sold copper tubes. 1961 Manufacturers of non-ferrous extrusions. 130 employees.